Our Workshop - CK Valenti Designs, Inc.
Our 4,000 square foot workshop is located in Chandler, Arizona. 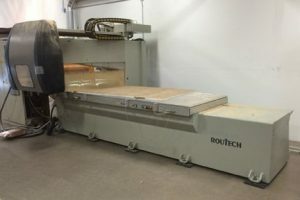 The workshop is fully equipped with specialized tooling for both woodworking and metal fabrication and can accommodate one-off projects as well as high quantity production runs. All our finishing work is done in an enclosed spray booth, which we also rent by the hour. For more information or to schedule an appointment to visit our workshop, contact us.